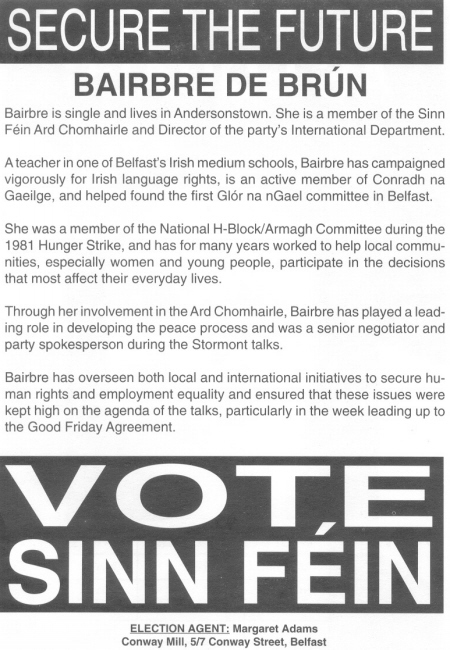 From the 1998 Assembly Elections Sinn Fein candidate Bairbre de Brún running in West Belfast. Bairbre de Brún was elected. She is now an MEP for Northern Ireland. She was very active in the promotion of the Irish Language and on the Ard Comhairle of Sinn Fein.